First unveiled at the 2013 Geneva Motor Show, the Audi RS Q3 has developed quite a nice following over in Europe. I wish I could say the same thing here in the US, but since it’s not available in this part of the world, any form of chest-beating for the high-powered crossover would be irrelevant. Audi seems to be perfectly happy with the reception the RS Q3 has received across the Atlantic and customers in that area are just as happy knowing that German tuner ABT Sportsline has just unveiled a tuning kit for the high-powered Q3 crossover. The kit is typical ABT Sportsline. No flash, all substance. Sure, it has some decal stripes to add some flavor to the RS Q3’s appearance, but everything else included in the kit is there for the purpose of improving the crossover’s performance and handling capabilities. The engine upgrade, in particular, is impressive. Same thing with the suspension modifications that resulted in a lower and wider stance for the RS Q3. There’s a lot to like about this new kit for the RS Q3. The fact that it comes from ABT Sportsline is probably the least surprising thing about it. 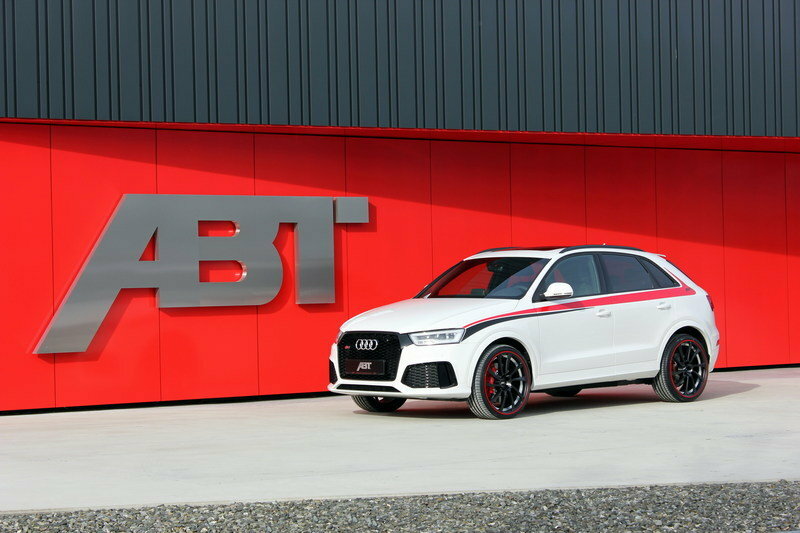 Continue reading to learn more about the Audi RS Q3 By ABT Sportsline. ABT Sportsline operates under the guise of subtlety and that was pretty clear with the exterior package on the Audi RS Q3. On the cosmetic side, the tuning shop is offering a pair of decals, one on the body and one on the rear skirt. The body decal is available in either black or red colors while the rear skirt decal comes with more varied color option. These include Anthracite, Black gloss, silver, or the always interesting “grid look”. New mirror caps are also part of the list, as is a new rear skirt set that includes a four-pipe stainless steel exhaust system. Wheel options are also included in the package and are available in either 19-, 20-, or 21-inch measurements. ABT is also opening its DR-, ER-C-, and FR-Design wheels for customers, giving them some options to choose from. The tires, available in either Continental or Dunlop brands, also come in different sizes: 255/40 R19, 255/35 R20 or 255/30 R21. Somewhat predictably, ABT Sportsline’s interior upgrade for the Audi RS Q3 mainly consists of cosmetic additions to bring some life to the crossover’s cabin. There are new floor mats, trunk mats, and door entrance lights, all of which come with the standard ABT Sportsline branding. That’s the extent of the upgrades on the cabin of the Q3, so customers looking for a little more are probably better off looking someplace else to get luxury interior trims. 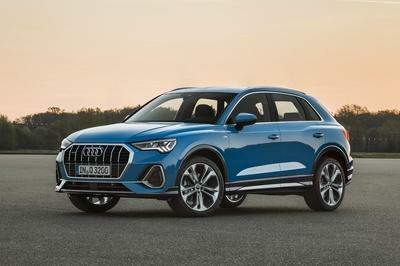 Audi’s award-winning 2.5-liter turbo engine sits at the heart of the Audi Q3, and while it’s already snatching up awards left and right, the engine still has room for some improvements. That’s what ABT Sportsline zeroed in with its engine program. As expected, the German tuner once again taps into its New Generation tuning kit, which has made quite an impression on ABT’s other recent programs. This time, the New Generation kit is able to extract a total of 410 horsepower and 391 pound-feet of torque out of the 2.5-liter turbo engine. 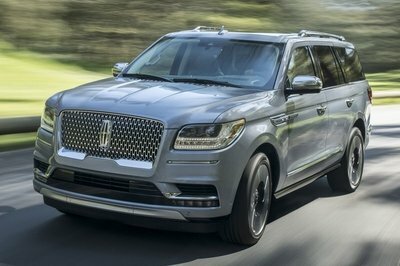 That’s a 20-percent increase from the standard 340 horsepower and 332 pound-feet of torque that is output of the award-winning engine. 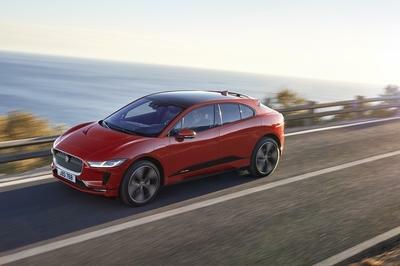 No performance numbers were announced, but with the standard Q3 capable of sprinting from 0 to 62 mph in 4.8 seconds, the improved output should allow the crossover to slash off around three-tenths of a second from its 0-to-62-mph time. Top speed is likely still limited to 155 mph. Lower and wider. 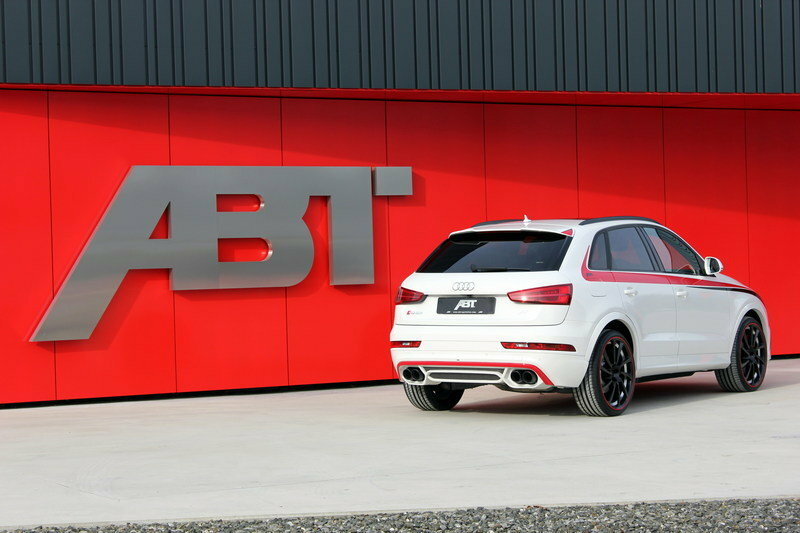 That’s the extent of ABT Sportsline’s suspension upgrade on the Q3 crossover. 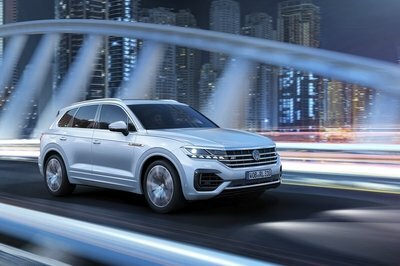 With the engine modifications in tow, the German tuner also has an adjustable suspension kit that can lower the front and rear axles of the crossover from 0.6 inches to 1.78 inches. Wheel spacers measuring 4x0.6 inches and 4x0.98 inches helps give the crossover a wider and more assertive appearance. Pricing details are subject to inquiries, so if a customer is interested in knowing more about the tuning kit, contacting ABT Sportsline directly is the quickest and surest way to get an accurate price quote. 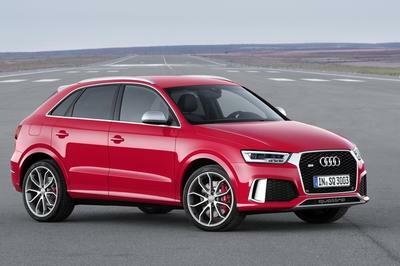 The Audi RS Q3 is part of a new line of high-performance crossovers that have become increasingly popular in recent years. One other model that’s laying siege to this new segment is the Mercedes GLA45 AMG. 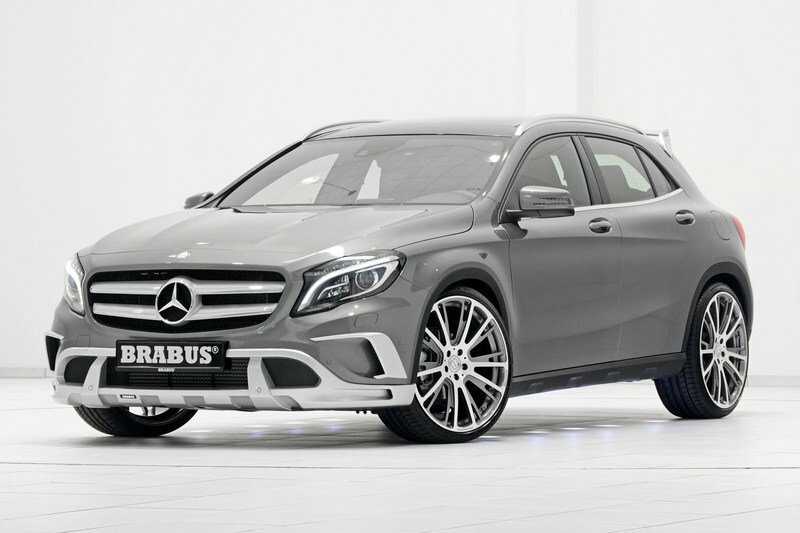 Back in 2014, noted Mercedes tuner Brabus unveiled its own tuning program for the GLA45 AMG. The kit was comprised of exterior updates in the form of aesthetic and aerodynamic modifications made up of a modified central insert in the front bumper, attachments on the side air inlets, a rear bumper insert, and a new exhaust system. The GLA45 AMG’s 2.0-liter, turbocharged four-cylinder engine was also the recipient of Brabus’ PowerXtra CGI B45 tuning kit. The result is an extra 40 horsepower and 37 pound-feet of torque to the crossover’s overall output, bringing the total number up to 400 horsepower and 369 pound-feet of torque. With the program in tow, the high-powered Merc crossover can hit 62 mph in just 4.4 seconds, four-tenths-of-a-second quicker than its standard 0 to 62 mph time. Top speed also increased by 13 mph, from 155 mph to 168 mph. It’s been described as a chic car by some and a fad by others, but one thing has become apparent with the Range Rover Evoque: it has staying power. First launched in 2011, the Evoque has become a popular model for Land Rover, so much so that aftermarket tuners have become increasingly attached to building programs for the crossover. We’ve seen a lot of them over the years, most notably from Kahn Design. But, one program that has stood out from the rest comes by way of Milner. The kit was introduced in 2014, and to this day, is one of the most extreme aftermarket programs for the Evoque. That’s what usually happens when a full space-frame chassis with double wishbone, fully independent suspension is put in place. 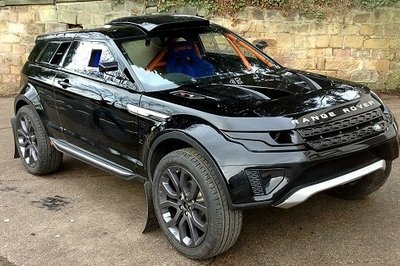 Even the Evoque’s composite body shell was scaled to four-fifths the size of an actual Evoque. That’s how far Milner went with its modification. But, the biggest change with this program is in the engine department. 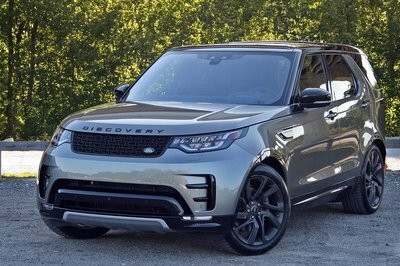 Instead of tweaking the Evoque’s standard 2.0-liter in-line four-cylinder, Milner took out the entire engine and replaced it with a 5.0-liter supercharged V-8 engine that was capable of producing 550 horsepower and 501 pound-feet of torque. Do the math and that’s more than double the output of the standard Evoque. It may be a moot point for us here in the US, since the Audi RS Q3 isn’t available here. But, for owners over there in Europe, there aren’t a lot of aftermarket shops that are as trusted as ABT Sportsline. There’s a reason why the company is regarded as the biggest tuner of cars produced under the Volkswagen Group. It’s been a reputation that’s grounded on impressionable programs that leave an impact to customers who get them. Whether its an Audi, Porsche, Volkswagen, ABT Sportsline is always there, hands outstretched with a tuning kit ready to be offered. This particular one for the RS Q3 not only brings out the best in the Audi crossover, it also re-establishes ABT’s reputation as the go-to tuner for Audis. I would’ve preferred a few more exterior and interior modifications, but I’ve accepted the fact that the tuner operates in a certain way, and its been successful in that approach so there’s no sense for it to veer away from that. The 2.5 TFSI has been voted the “International Engine of the Year“ no fewer than six times. 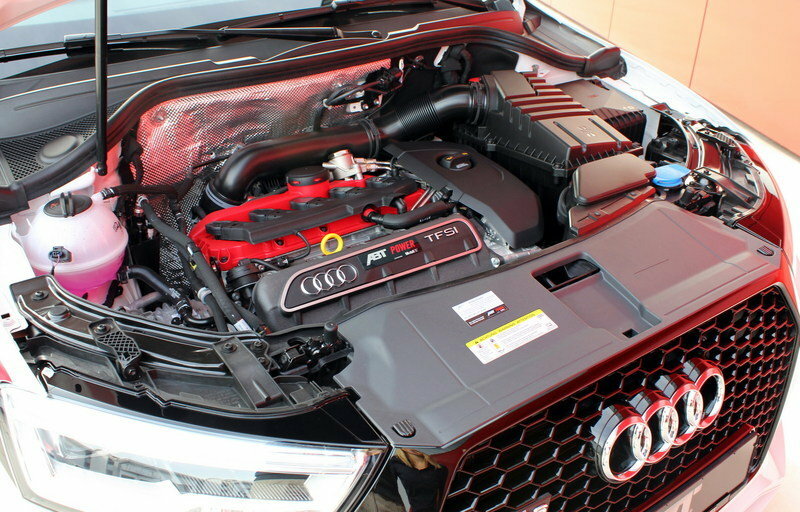 In the Audi RS Q3, this turbo engine yields 340 hp/ 250 kW and a maximum torque of 450 Nm. But awards are neither here nor there. 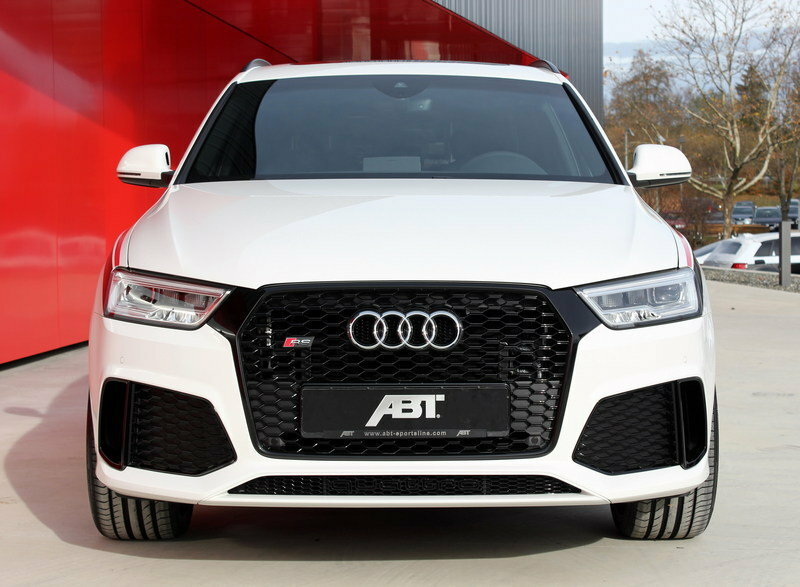 For traditional reasons alone, ABT Sportsline couldn’t let it stand there and applied the ABT Power “New Generation“, the high-end performance upgrade with its own separate control unit and software. Now the RS Q3 has 410 hp/ 301 kW – up by almost 20% – and a torque of 530 Nm. “Our extensive warranty, the TÜV certificate and thorough test drives and trial runs guarantee maximum dependability,” says CEO Hans-Jürgen Abt. To make it perfect, the globally largest tuner of cars produced by the Volkswagen Group installs a height adjustable suspension kit with a flexibly lowered suspension of between 15 and 45mm. But the RS Q3 is not only lowered, it is also widened: ABT wheel spacers of 4x15 or 4x25mm make this compact SUV appear even more assertive. 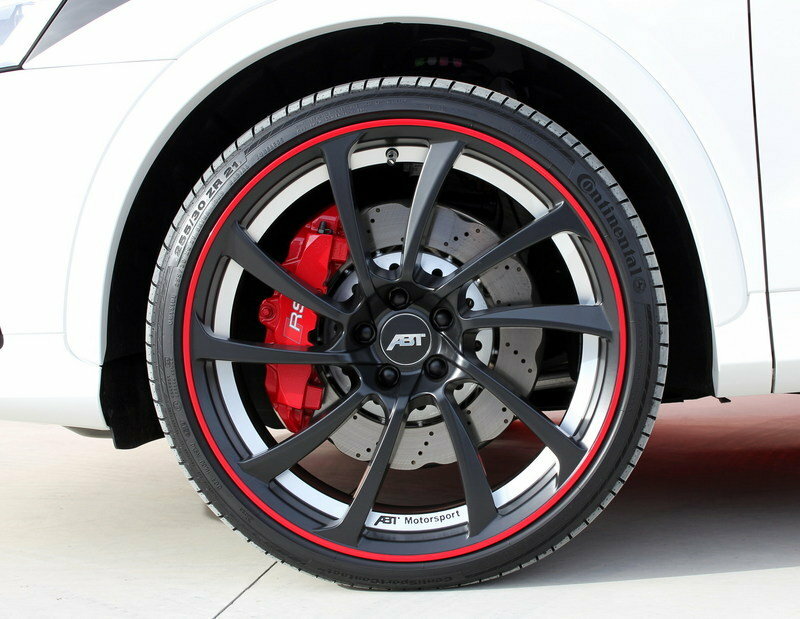 And, of course, the 21’’ ABT DR wheels as seen in the photo are also ideal. Incidentally, ER-C and FRs are also available, with sizes ranging from 19 to 21’’, as are various finishes for the various wheels: gun-metal, silverbullet or mystic black. But a real athlete needs even more. ABT Sportsline therefore also provides ABT mirror caps and various deco films and red-and-black stripes for the “hips”. The real highlight, however, is the rear skirt set made of high-quality PU-RIM with its serpentine ornamental grid. Also included in the set is a stainless-steel muffler system with four 89mm tail pipes. Painted black, these do not only look good, they also sound impressive.